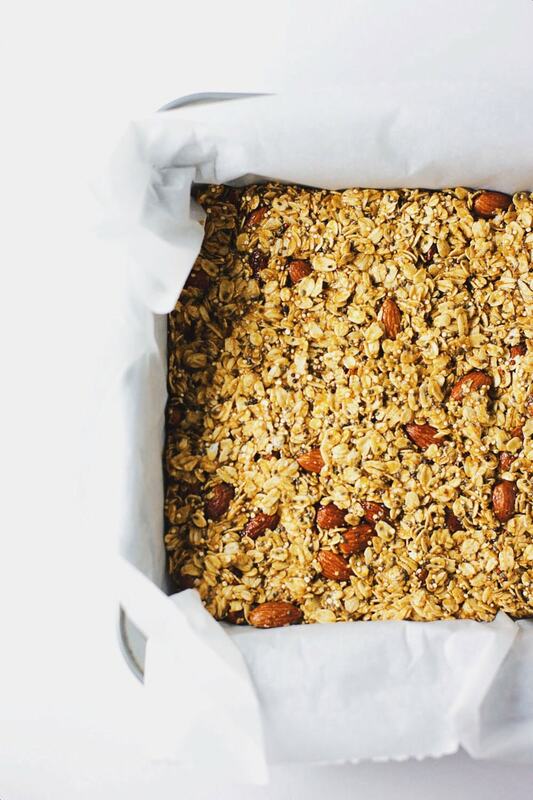 Healthy Chewy Granola Bars made with 6 simple ingredients! 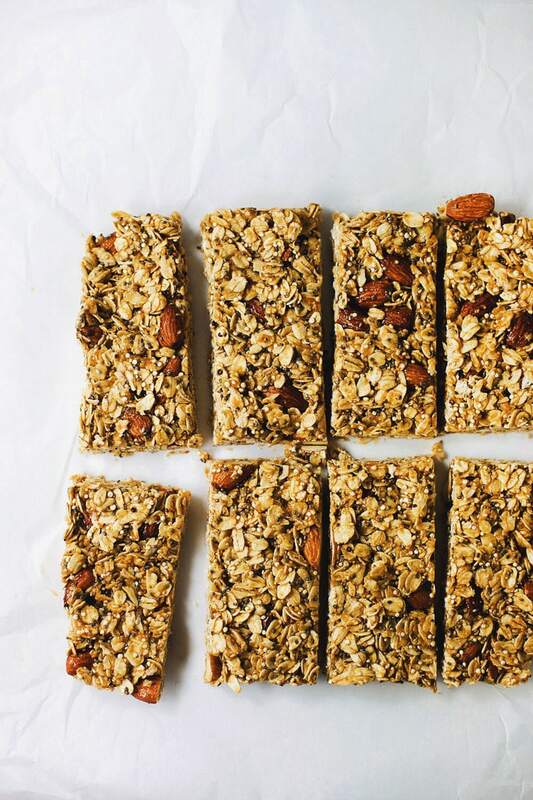 These granola bars are only 106 calories per bar, are delicious and chewy, and perfect for breakfast on-the-go or a healthy snack. 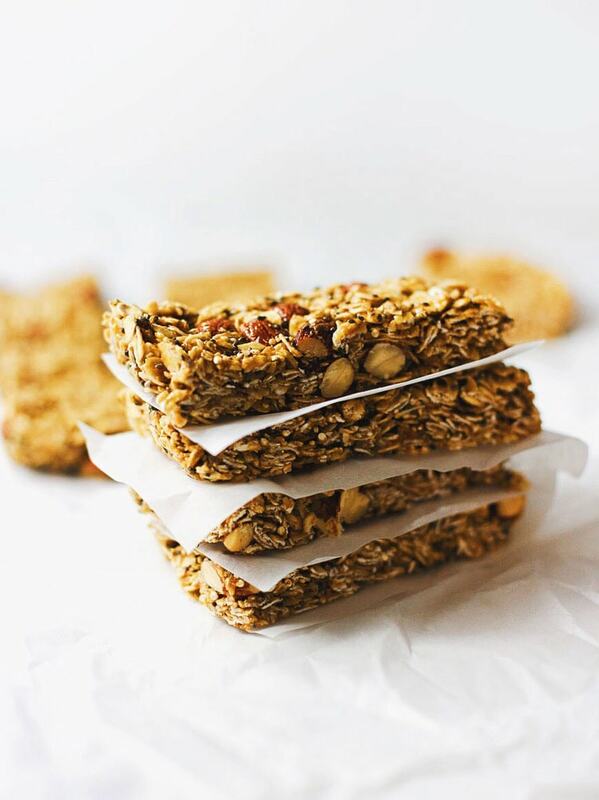 No bake, no hassle, chewy granola bars made with 6 healthy ingredients. 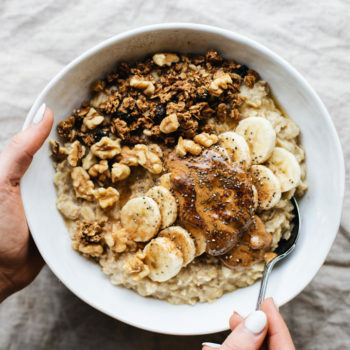 So delicious, peanut buttery, and are so easy to make for breakfast, snack, or hey – even a healthy dessert. These bars are made with all plant-based ingredients, so they are vegan friendly as well. 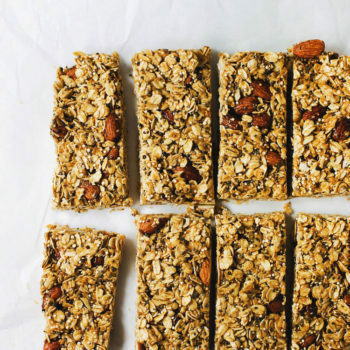 Make these bars for your school lunch boxes, or prep for work as a mid-day snack. So yummy and so easy! 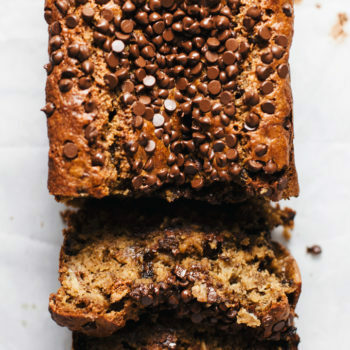 Sweeten this recipe with local honey or you can use agave nectar instead. Feel free to add extra nuts or dried fruit if desired. Store these bars in ziplock bars in the refrigerator to keep peanut butter chilled and bars chewy. 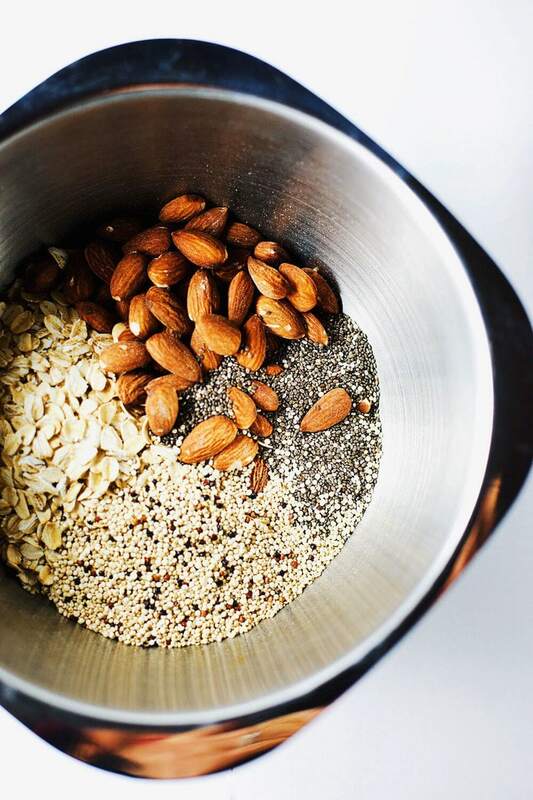 You can use any nut butter for this recipe – almond butter, cashew butter, or peanut butter. Since it’s National Honey Month, I’m so excited to be using Madhava‘s Ambrosia honey in this recipe. My family only buys local honey to make sure we are getting the most nutrients honey has to offer. And when buying local honey, you are supporting your local bee ecosystem. So cool! 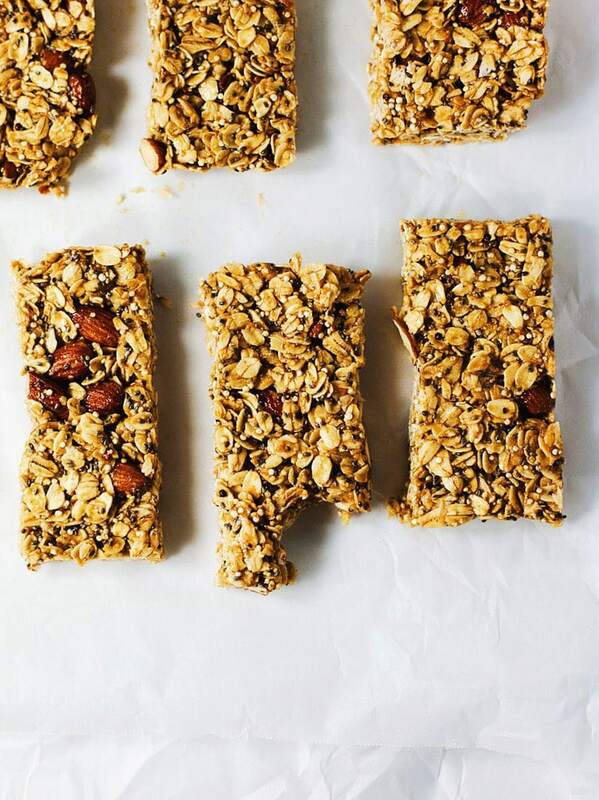 Chewy Granola Bars made with 6 simple, healthy ingredients! Perfect for breakfast on-the-go or a snack. 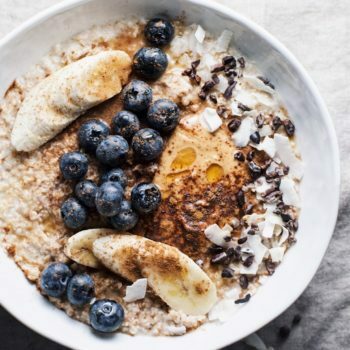 In medium-sized bowl mix oats, almonds, chia seeds and quinoa. Warm agave and peanut butter/almond butter in small sauce pan on low heat. Stir together. Pour over dry ingredients and mix together. Transfer mixture to 8x8 pan lined with sheet of parchment paper or plastic wrap on bottom so that you can lift bars out easily. Lay a sheet of parchment paper on top and press hard to pack it down. This will avoid them from crumbling/breaking. Make sure top of mixture is even when you're done pressing. Chill in freezer for 30 minutes so bars can harden. Lift with parchment paper to remove bars and cut into 8-10 even bars. Store in ziplock bag in refrigerator for up to 1 week. You can use any nut butter for this recipe - almond butter, cashew butter, or peanut butter.